Arty things need arty materials, but they can often be costly, putting you off if you’ve never tried the art form you need them for. Luckily, there’s a way to bring down the cost and turn the act of making the materials an art project in itself! Here’s a selection of Homemade art materials you can make on the cheap. Don’t forget to send us a picture of any that you try! We’ve tried to curate some of the best examples going, so thanks to all the blogs and bloggers who made these recipes, and, if you like what you read, remember to look at what else they have! Finger Paint – Tinkerlab’s incredibly easy finger paint recipe is a good start for anyone, having only 5 ingredients and 8 steps needed to make the paint. If you’re not sure when you’ll actually be painting, this is a really good choice as the paint stays indefinitely, as long as it’s in the fridge. Glow-in-the-dark paint – Learn Play Imagine came up with an inventive idea for glowing paint by creating ‘glow water’ from a yellow highlighter and water. When mixed with glue, this creates an easy to use glow paint that would be great for lots of things, but mainly drawing aliens. Glitter paint – Creatively Content use an existing mix of acrylic paint with flour, water, salt and glitter to spice up the normal artist materials. Candy Cane Playdough – Another from the artful parent, the candy cane playdough looks so good it can double up as a gift. This recipe will also give you a good reason to use all those jam jars you’ve been collecting. No cook playdough – The Imagination Tree’s no-cook playdough recipe bases it’s success on a 4-minute recipe that can last up to six months. If you think about how much time it would take to go and buy this stuff, you can begin to see why making these things is all the more beneficial! Edible playdough – Make and Takes have a peanut butter playdough recipe. Are any more reasons to try this needed? 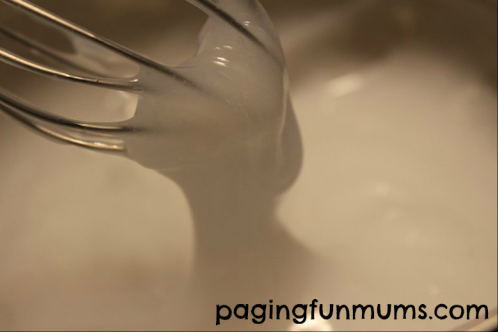 Cloud dough – Kiwi Crate’s cloud dough recipe ‘looks like flour, but it holds shape when pressed.’ this is a particularly easy recipe that can be knocked together in a couple of minutes, Great for when you’re in a rush. 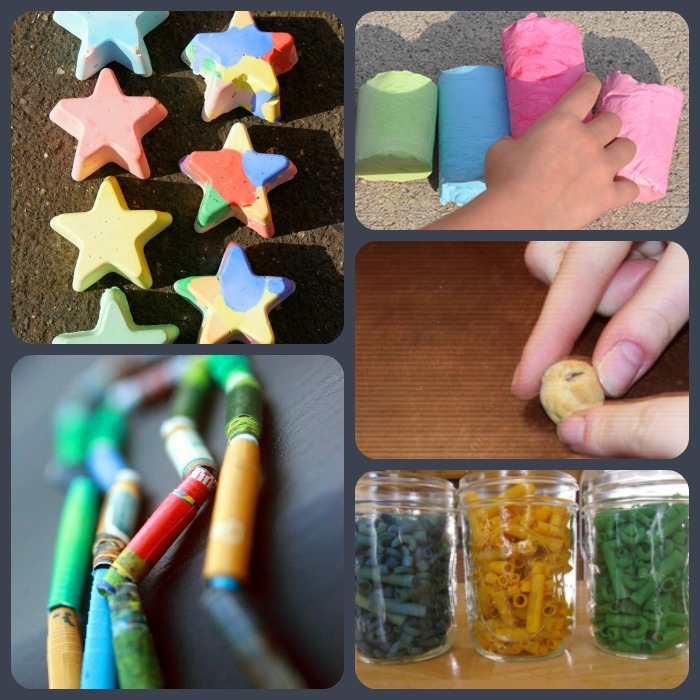 Homemade Glue – Paging Fun Mums’ post on homemade glue is an easy, clear-drying solution to help save you money on craft materials. Once made, the recipe will last for months, if kept refrigerated. DIY MUlticoloured Chalk – Laughing Kids Learn use plaster of paris to create multi-coloured chalk shapes that can be moulded what whatever you want. ‘Sidewalk Chalk‘ – A similar and slightly more rough ‘n’ ready approach fromPBS Parents that could be an easier solution if you’re not fussed about the glam shapes. Recycled Paper Beads – Ramblings From Utopia have the right idea when it comes to recycling. Their recycled-paper beads reduce the costs of your arts and crafts even further, by using stuff you have lying round the house, destined for the bin, and giving you a way to use it all! Dyed Past Beads – the artful parent has a third great home-made craft solution. Their instructions to dye pasta beads will give you a great set of beads to start your craft project with. That’s all! Hopefully you find these useful. Remember to send any examples if you’ve tried them yourself.